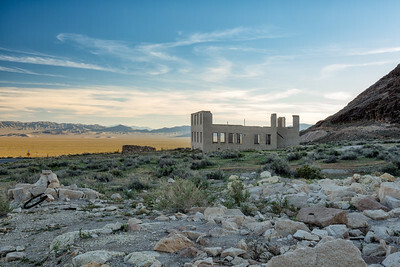 The ghoestown of Rhyolite is fun to explore. 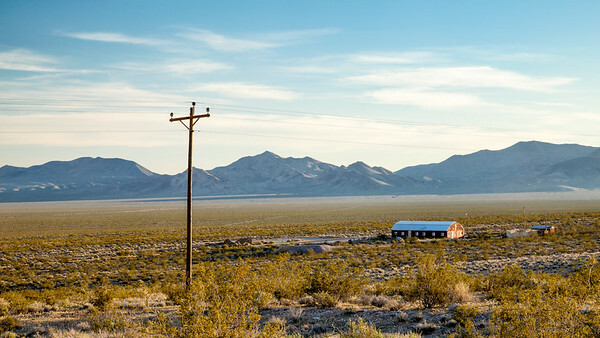 Wasteland and ruins with a breathtaking backdrop of the mountains beyond. Just watch where you are going. There were a lot signs warning about rattlesnakes there. 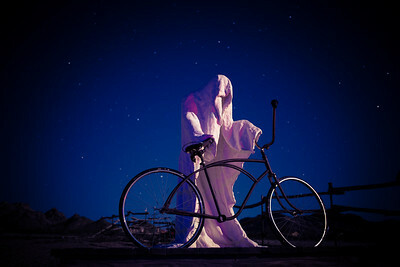 A very fitting art installation in the ghost town of Rhyolite on the outskirts of Death Valley. 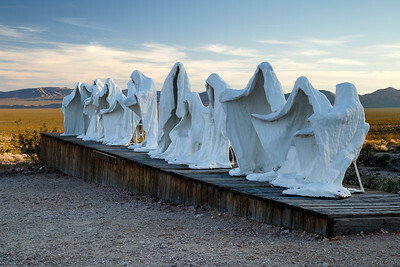 This installation by the late Belgian artist Albert Szukalski is in Goldwell Open Air Museum. We got there at the perfect time with the beautiful setting sun providing backlighting. 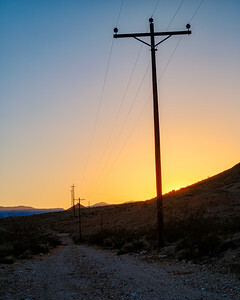 On the last night of the socal desert trip we went out to the old ghost town of Rhyolite for some night photos and light painting. This caboose used to be a gas station. 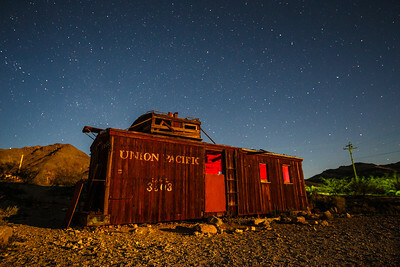 It wakes from a rusty slumber under the desert sky filled with stars and moon light. Will it roar to life? 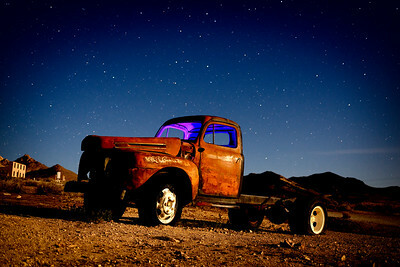 A bit of light painting in the ghost town of Rhyolite.